Those who’ve spent holiday time in Portugal’s famous Algarve region might recognize the name Tavira, but few else will. This small and charming town is what dreams are made of, especially for North Americans or Australians who aren’t used to living in a historic city. 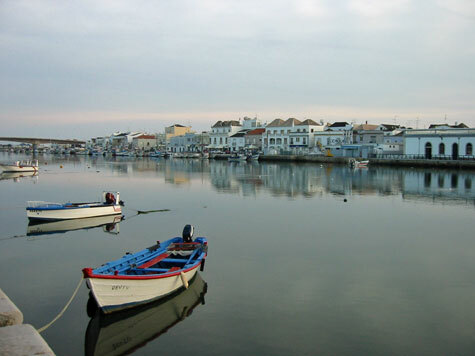 With pleasant winter weather and excellent weather the rest of the year, Tavira is in the eastern part of the Algarve district, which is basically the southern coast of the country. This isn’t a beach town however, so it’s not overrun with temporary holiday-makers, but it’s close enough to the beach so you could get there in around 30 minutes if the mood struck you. The lazy river that flows through the center of the old town helps define the city, and also symbolizes the relaxed lifestyle most residents enjoy. It’s a historic and beautiful city center, with many centuries-old buildings making up its core, but there are modern shopping opportunities and large grocery stores nearby as well, so it’s the best of both worlds in many ways. If you’ve spend much time in Spain outside of the Costa del Sol beach resort areas, you know that English isn’t widely spoken or understood, so it’s a nice bonus that in Portugal in general, and Tavira in particular, English is fairly common, and easy to get by with. You’ll get the authentic feeling of old Europe combined with an unusually pleasant climate, and little difficulty in communicating all at the same time. Those coming for only a short visit will notice there isn’t an abundance of major tourist attractions in the town, which is actually also part of its appeal to those looking for more of an escape. You can take a guided walking tour, and see a few historic cathedrals and squares, but aside from that it’ll just be enjoying the sunshine as well as the excellent local cuisine, which is dominated by seafood, not surprisingly. Another bonus is this is one of the cheaper parts of Europe in general. Rents and house prices are lower than they are almost anywhere in France or to the north, perhaps comparable with Greece, though this is much better organized. There are small local farmers’ markets in the city, as well as large chain grocery stores, selling some of the cheapest food in all of Europe. You can buy a liter of local table wine for around €1 (US$1.30) as long as you don’t mind serving it from an oversized juice box. During summer the prices of hotels and some other things go up, but the rest of the year this is a very moderately priced area, in spite of all it has going for it. If you are coming from far away you can fly to Lisbon and take a train from there in only a few hours, or you can fly into Faro, which is the largest city close by.